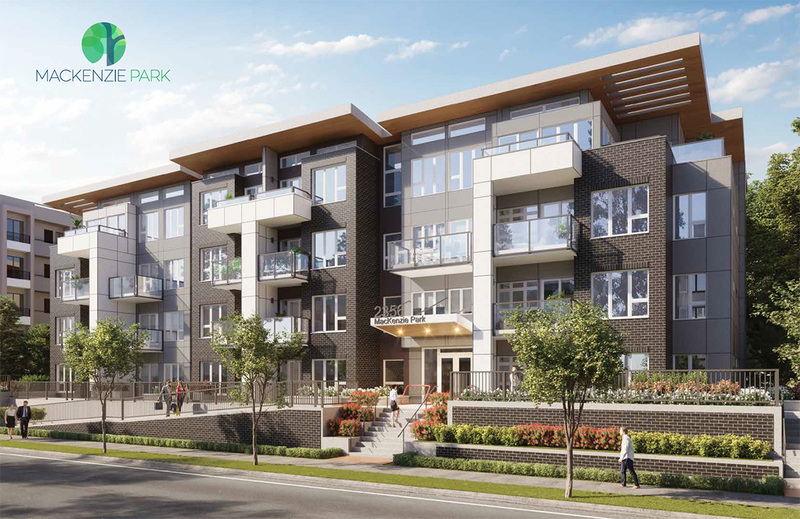 Brand new condominiums just steps from historic downtown Port Coquitlam and all that it offers. Enjoy walking to local shops, restaurants and entertainment in this friendly and vibrant community. Take pleasure in the close proximity to all levels of schools, parks and the West Coast Express. Plus, the addition of the efficient Transit B-Line linking this neighbourhood to SkyTrain and more with it’s time-saving frequency and route. A perfect home or investment whether you’re a First Time Home Buyer with Studio and 1 Bed + Den options, family oriented with spacious 2 Bed + Dens, or you can have it all in a spacious and luxurious Penthouse suite. Each home features open concept living with high quality, modern finishes combined with thoughtful details. Each home features open concept living with high quality, modern finishes combined with thoughtful details like gas ranges and air conditioned master bedrooms. Quality stainless steel appliances and garburators come standard in every kitchen, plus under cabinet and over counter lighting provide ambiance and comfort. Clean and contemporary undermount sinks accentuated with reliable Kohler polished chrome fixtures. Modern marble mosaic tile surround in all tubs and showers. Continuous central hot water system means no tank to run out or replace. High-quality laminate flooring throughout living, kitchen and dining. Modern and sleek flat panel casings surround windows and doors. Stylish and smooth square chrome hardware. Airy nine-foot ceilings and open floor plans throughout add comfort and space to your home. Plush and soft high-quality carpets in bedrooms for a little warmth where you rest. Sound limiting walls and ceilings for peace and privacy. High-efficiency front-loading washer and dryer. Air conditioning in all Master Bedrooms. Safety with built in sprinkler systems, CO2 and smoke alarms. Enjoy your home today and for years to come with the comfort of a 2-5-10 year Third Party New Home Warranty. Energy efficient and long lasting construction with up to date rainscreen technology and Hardie Plank siding. Rentals are permitted for 100 years so your investment can continue to grow. All homes are backed by the decades of experience RRG’s Principals bring to the table. Make visiting the almost 1000 Sq.Ft.. of indoor gym area a part of your morning routine, or step outside your door to enjoy acres of parks + miles of riverside nature trails. A perfect home or investment whether you’re a First Time Home Buyer with Studio and 1 Bed + Den options, family oriented with spacious 2 Bed + Dens, or you can have it all in a spacious and luxurious Penthouse suite. Each home features open concept living with high quality, modern finishes combined with thoughtful details. Take pleasure in the close proximity to all levels of schools, parks and the West Coast Express. Plus, the addition of the efficient Transit B-Line linking this neighbourhood to SkyTrain and more with it’s time-saving frequency and route.